Saif Ali Khan and Amrita Singh’s daughter Sara Ali Khan, who is all set to make her Bollywood debut, made heads turn with her dance performance on the song Saat Samundar Paar from the film Vishwatma at a wedding. 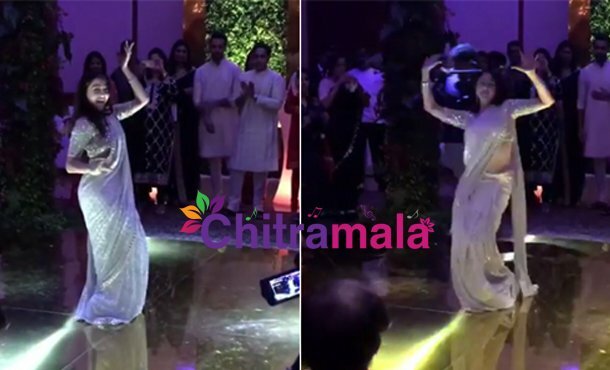 Sara Ali Khan floored the audience at the wedding with her dance moves. The guests kept cheering and clapping as she grooved to the hit song. Sara Ali Khan looked gorgeous wearing a saree at the wedding of fashion designer Sandeep Khosla’s niece Saudamini Mattu. On the work front, Sara Ali Khan is currently busy shooting for ‘Simmba’, co-starring Ranveer Singh, directed by Rohit Shetty and produced by Karan Johar. Sara will also be seen in Kedarnath opposite Sushant Singh Rajput.